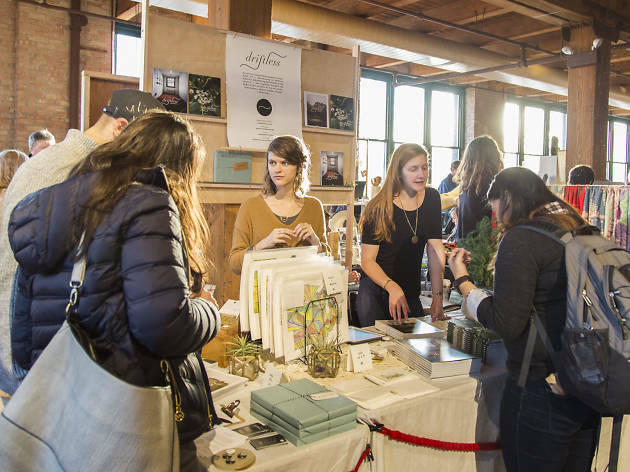 I have been going to Renegade Craft Fairs since moving to Chicago, and find it to be an absolute blast! Tons of vendors from all over the U.S. bring their adorable t-shirts for puppies, headbands, hand-carved wooden lamps, print-pressed greeting cards, and other unique giftables all to one fun place. I use this is a one stop shop for birthdays, housewarming gifts, and holiday presents. Even if you don't buy anything (which is actually impossible), it's worth it to come out and see what inventive objects are being created these days, and get your artisan craft on. Plus there's usually beer and yummy snacks. 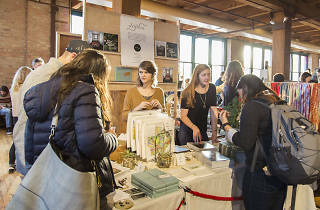 One of the biggest artisans craft fairs in the city shows up and always takes all of my money. You can find the cutest gifts regardless of season from the best and brightest crafters and DIYers. I accidentally stumbled upon this fair last year and am so happy I did (though I don't know if my wallet would say the same.) Everything being sold is handmade by independent artisans. The Renegade Craft Fair stands out from others in that they pride themselves their curated selection of vendors. The fairs focus is on promoting modern DIYers with fresh ideas of the highest quality. I was able to buy all of my Christmas gifts at last years fair along with some fun items for myself!